Looking for a hard-wearing material for your flooring? Brazil is well-known for many things: the towering statue of Christ the Redeemer, sugarloaf mountain, Brazil nuts and Corcovado mountain. It’s also the world’s second biggest producer of slate. Slate is one of the world’s most popular building materials and Brazilian slate is particularly sought-after for its attractiveness and resilience. Brazilian slate is beautiful, affordable and durable, making it a highly popular material for decorating homes indoors and out. Our grey-green Brazilian slate tiles are ideal if you love the look of slate but want to opt for a light colour. This kind of slate has a smooth riven surface once split. It is a great alternative to dull porcelain tiles and can bring your home into the modern age. 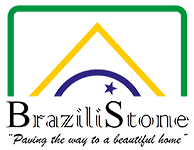 Brazilistone are Brazilian slate tile specialists and offer both indoor and outdoor slate tiles, along with a wide range of other products. 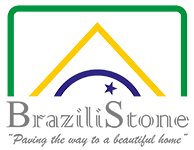 We have slate products in all kinds of colours, including black, grey-green and multiple-colours. Both waterproof and hardwearing, this material is ideal for stunning kitchens, bathroom, conservatories and much more. With prices starting from only £12.75 for our slate tiles, our products are highly affordable and won’t break the bank. Why not discover more about our Brazilian slate tiles today?